Jenkinson’s Property Management Team would like to offer this lovely 2 bedroom house to rent on Enfield Road in the Old Swan area of Liverpool. This property would be ideal for a small family. It is very close to all local shops, schools and amenities including Broadgreen Primary School and Broadgreen International School. It has excellent transport links into the city centre. The property benefits from gas central heating, double glazed windows and on road parking. This property comes unfurnished however there is an electric oven/hob fitted in the kitchen. Carpet is laid down on the stairway, landing and both bedrooms. Laminate flooring is laid down in the hallway, living room and dining area. On entrance there is a small hallway leading to the large living area with plenty of space for a dining table to the back of the room. To the rear of the property you will find the kitchen which is tiled and decorated to a lovely modern standard. This then leads onto a good size yard. The stairs are positioned to the back of the living room leading you up to the 2 spacious bedrooms and the family bathroom. The bathroom offers both a bath and a shower and is tiled and decorated to a lovely modern standard. All windows in the property are fitted with vertical blinds. Viewing is recommended for this property and evening/weekend viewings are welcome by request. For more information or to arrange a viewing please call or email us. First month’s rent to be paid up front. 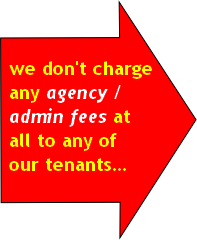 We can often be flexible with deposit payment depending on circumstances, references and landlords permission. Copyright © 2019 Jenkinsons Property Management Team. Developed by Regnant Soft Technologies.